Yay a recipe from Papa Tony. Have I tried this before. I think I did! Now I can try cooking it, Italian sausages are on sale today, another yay! One of the best meals ever! (And they taste better as street food! Youtr dish is picture-perfect. Papa Tony's tips are well-noted! I'm glad you are settling in to your new home and enjoying the fall! 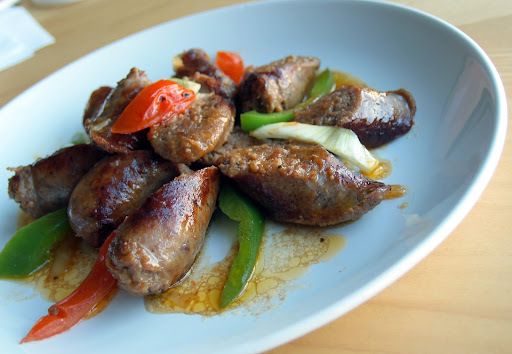 I absolutely love sausage and pepper and your dish looks perfect-- my mouth is watering! Oh I totally understand how much you fell in love with fall. Fall was my favorite season while growing up in Japan. All the sudden after I came to California, my favorite fall is gone. All the trees are green or bald.... I'm so envious that you get to enjoy foliage fully! Enjoy it for me too! The sausage looks juicy and yummy! This goes well with rice or bread. It looks delicious! 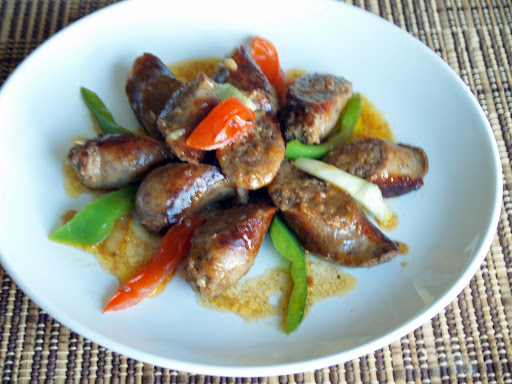 Sausage & peppers are my sons' fave! It's my go-to dish on hectic days. But I haven't made this in a while. Is it a sign that things are truly hectic? 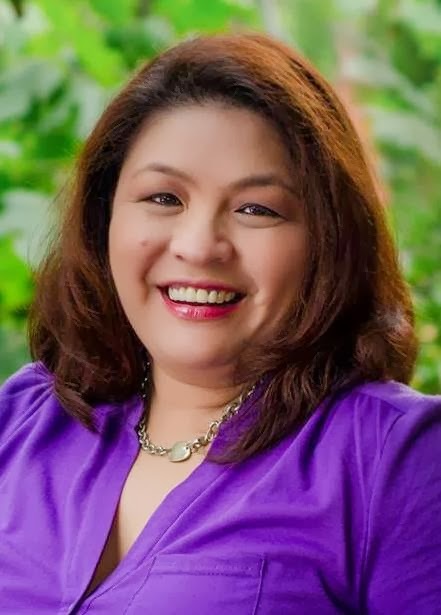 Thanks for the inspiration, Malou! I love your mouthwatering looking sausage. You Papa Tony would be happy for you to mimic his recipe like a pro. All because of this tricks and tips on how to perfect this dish. His tips are noted. I will try this with his tips in mind. Hi Tes: Great to "meet" you. Thanks for coming over. Jenny: Im not sure if you did. But if you attended one of our parties before then you must have had tried it. Try cooking it, it's uber simple. Claudia: Hello dear. How are you? Great to see you again. I never had this yet though as street food... well maybe when I go to Italia haha! Ryan: THanks Ryan and yes, I'm adjusting smoothly... and warming up to my new city! Nami: Good you have all four seasons in Japan. Growing up in the Philippines, I only knew 2 seasons, that's why I'm excited with the 4 seasons. Betty: Yeah we are all busy but this is an easy recipe so I hope you could squeeze in some time to cook it again. Trudy: Hello! Great to see you here. Indeed he was happy but only he told me to add more soup stock to it haha. Thanks for dropping by.! Aww yay! I'm so glad to hear you've been living fall to it's fullest potential! 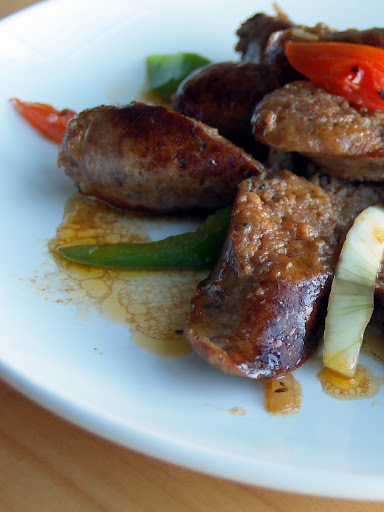 Sausage in peppers is a classic favorite in my Italian household! Yum.